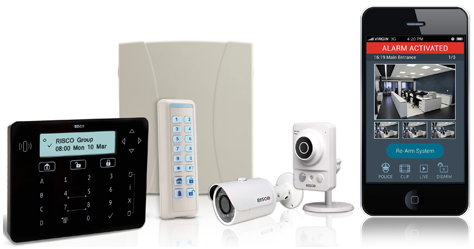 RISCO’s LightSYS2™ and Agility3™ are feature packed intruder alarm systems with a host of exciting functionality not usually found in our conservative industry. The LightSYS2™ is versatile, scalable and suitable for most applications from residential to commercial. It can be fully hard-wired with the usual array of detection devices or can be fully or partially wireless. It has a modern touch-screen keypad that comes in black or white that can even be flush mounted into your wall. The LightSYS2™ can be self monitored with a speech dialler via your phone line or by GPRS. For sites requiring professional monitoring it is fully compatible with Redcare GSM and Dualcom GPRS signalling products. But best of all, truly launching intruder alarms into the Smartphone age, with the IP module connected to your router you can receive app alerts directly to your smartphone and also remotely control your alarm from anywhere*. The Agility3™ is designed for homes and small businesses with the option for clients to “self monitor” or to be professionally connected with Police response. However, unlike the LightSYS2™ it cannot support Dualcom and Redcare products. 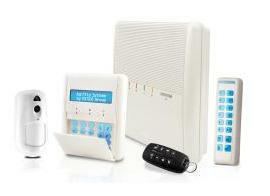 Using 2-way wireless technology all the detection devices, sounders, sirens and keypads are fully wireless. The only cabled connection is the mains power (and possibly the telephone line or router connection). Both LightSYS2™ and Agility3™ have a range of wireless peripherals to suit the most demanding of applications, to protect against burglary and theft, environmental hazards such as flooding, and with the Agility3™, ensuring care for the elderly using a special feature that monitors lack of activity in a given area. Using wireless peripherals, either system can be installed with literally no fuss to your décor and minimum interruption to your routine as no cables need to be run. With the LightSYS2™ you can have any number of VUpoint IP cameras connected via the secure RISCO cloud for “live video verification”, enabling you to receive images and footage if the alarm triggers. You can also access the live-view from anywhere* at any time. The Agility3™ provides the same features but in addition you can also have a PIR camera connected, which if triggered, will send you a series of snapshot images via the iRISCO app. 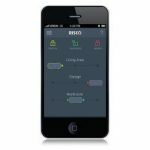 A significant benefit of these systems is our ability to remotely access them via the RISCO cloud, to conduct periodic system health checks, make changes to the programming, resolve potential faults and add and delete devices. The cloud connection is fast and immediate, and will save you money by potentially reducing certain engineer visits. For more information or to arrange a free no obligation survey please call us.